Apprentices help all over the theatre and have the opportunity to stage manager our children's program. Applications have closed for the 18/19 season. Click here for more information. Apprentices are fully immersed in the theatre’s management, artistic, and marketing teams, while having a direct influence on the development of a professional theatre company. This is a fantastic learning opportunity for young professionals to network and work with established local artists on various projects throughout your time with Tipping Point. The program provides invaluable contacts while developing resume skills. Because of the integral role Apprentices play within the organization, apprenticeships are tailored to individual strengths and interests with an emphasis on investing in the future of the apprentice. Apprentices work as Box Office Staff, Assistant Stage Manager, Light & Sound Board Operator, and House Manager among other duties and responsibilities. Professional opportunities are also available for those who are interested. Tipping Point Theatre accepts resumes for a one year Apprenticeship program early each year. Applicants must have a college degree or equivalent experience in theatre related fields. A weekly stipend is offered to help offset living expenses. BoxFest Detroit is an organization that showcases and creates opportunities for women directors. BFD produces festivals that allow women directors the opportunities to direct original shows of their choice and win awards to help further their careers in directing. Proceeds from each festival are given to one or more directors as a scholarship to help further her career. The winning director of the audience vote competition is given the opportunity to direct a show with Planet Ant Theatre’s Late Night Series. BoxFest Detroit has served and continues to function as a springboard for many women and their directing careers. Directors who have participated in past festivals have gone on to pursue graduate studies at highly competitive universities, become directors at professional theatres, and form their own successful theatre and production companies. BoxFest Detroit’s importance within Michigan’s theatre community was validated when Between The Lines honored the festival with the Critic’s Choice Award at the 2008 Wilde Awards. Tipping Point Theatre is partnering with BFD for our 17'-'18 season to launch a new mentoring program. Through this program, two BFD 2017 directors will be given the opportunity to shadow, learn, and collaborate with established, experienced, female-identifying directors at Tipping Point. It also gives emerging directors exposure to networking opportunities in the Metro-Detroit theatrical community. 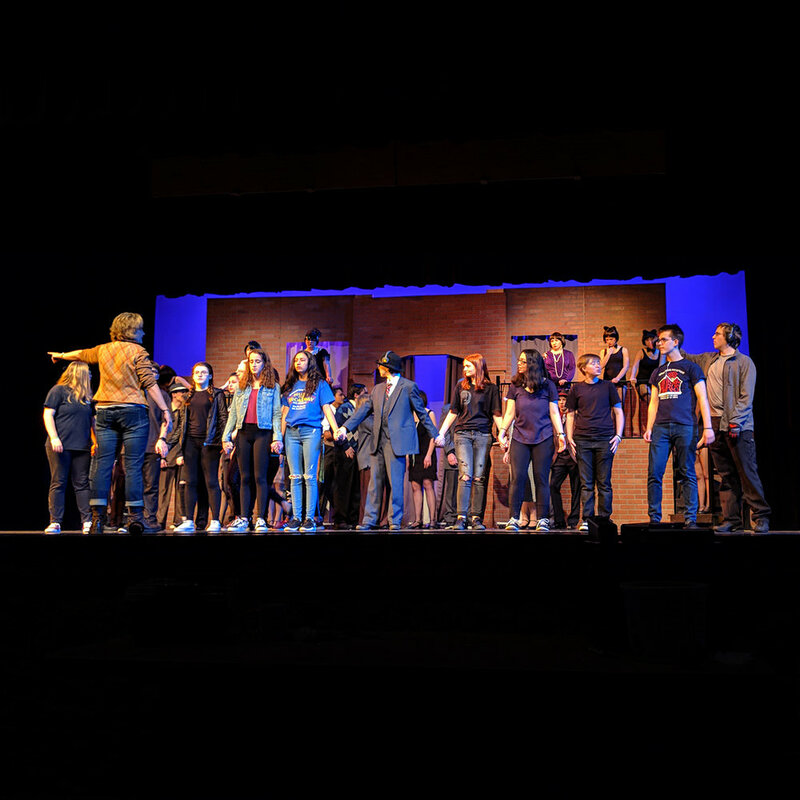 Tipping Point Theatre staff works with the Northville High School Drama Club on the production of two shows per school year. The Plymouth Uptown Players (PUPS) is an experimental theatre group that is made up of elementary and middle school aged children. Each season (Fall and Spring) children are invited to participate in open auditions. All children who audition will receive a part. The program culminates in a play performed on Tipping Point Theatre's stage. The performances are open to the public. 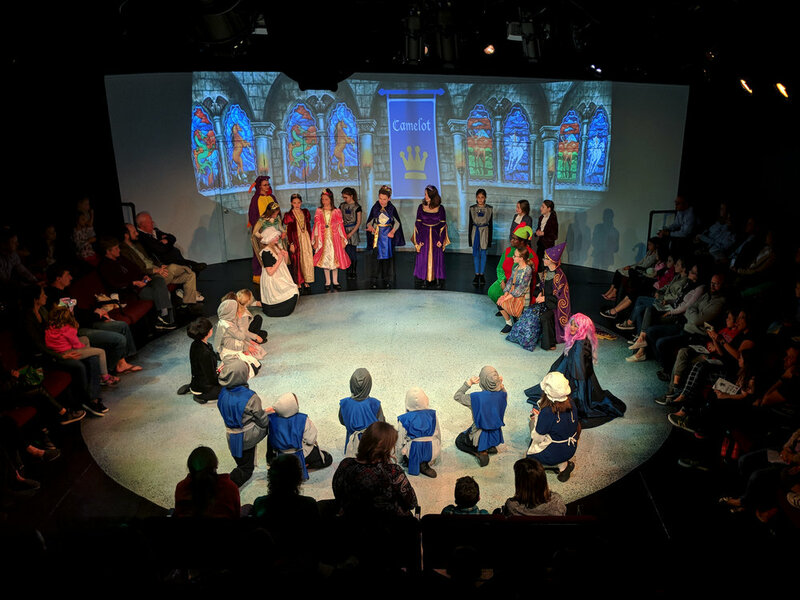 The program teaches children everything about producing and acting in a play including costumes, sets, and working together as a team with your other cast mates. Classes are also offered through the Plymouth Community Arts Council. Keep a look out for more information!